Home » Blog » Famous Fairies CD release! 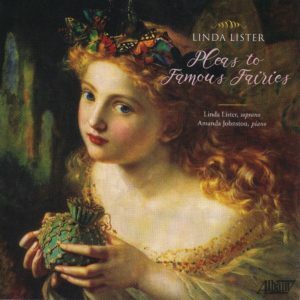 On June 1, Albany Records released my CD Pleas to Famous Fairies. With pianist Amanda Johnston and violinist Wei-Wei Le, I perform my own original compositions including Bring Me the Wine of Love, Pleas to Famous Fairies, A Sonnetress Enamored, Separate Strings, Emerson & Eyre, B is for Bad Poetry, and Singer’s Amnesia, as well as excerpts from the opera How Clear She Shines! Buy Pleas to Famous Fairies on Amazon or iTunes.